A patent granted to Microsoft this week could automatically adjust the settings on your phone to make it less annoying in movie theaters. 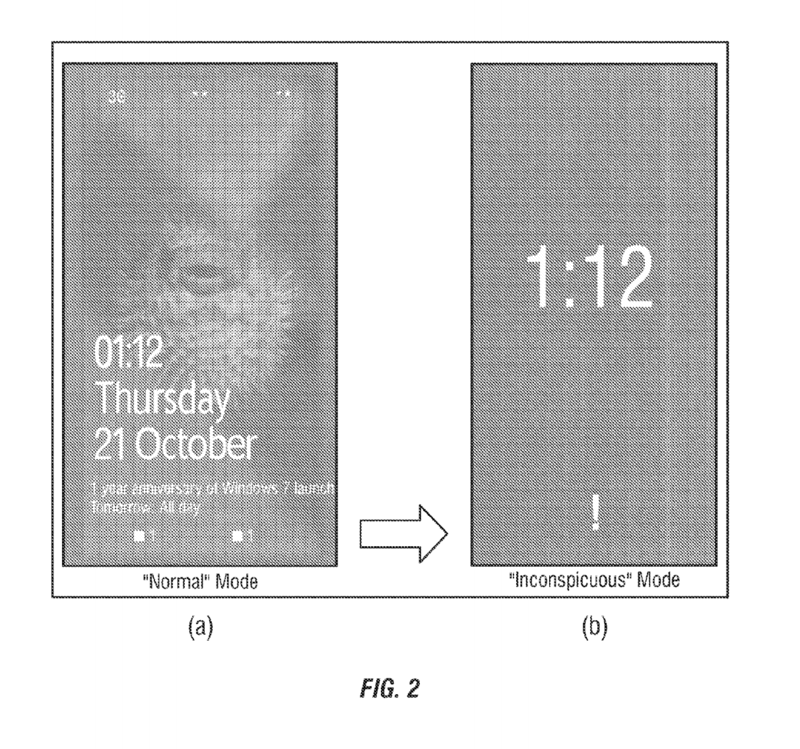 Granted on January 13, the patent details an “inconspicuous mode” which would automatically adjust brightness, mute sounds and offer reduced information on the lock screen when the owner goes to the theater or is about to head to bed. Inconspicuous mode would be triggered using sensors on the device when visiting a venue like a movie theater, or could be manually enabled by the user. The patent application calls out detecting when the mode is required using GPS, sound, NFC, Wi-FI MAC addresses and other data, like the purchase of movie tickets in the device’s browser. It also points out that the mode could be enabled using analysis of a user’s calendar, saying that if an event for seeing a movie were found in the calendar, the device could use this to automatically enter inconspicuous mode. The patent application points out that a common problem is phones can be annoying to other movie viewers since they are often a substitute for a watch. Users can choose when to exit the mode, or it will automatically exit when the condition that caused it to trigger is gone. Windows Phone doesn’t currently have such a feature, but with the next big version of the platform on the horizon, perhaps this patent has arrived just in time for Microsoft. Microsoft filed for the patent in 2013, but it was only granted it this month as spotted by Patent Yogi.